When you think about Sierra Leone, you probably remember headlines around the recent Ebola outbreak. Believe it or not, although it was a tough time for everyone living in my country, the Ebola crisis taught us a few things. 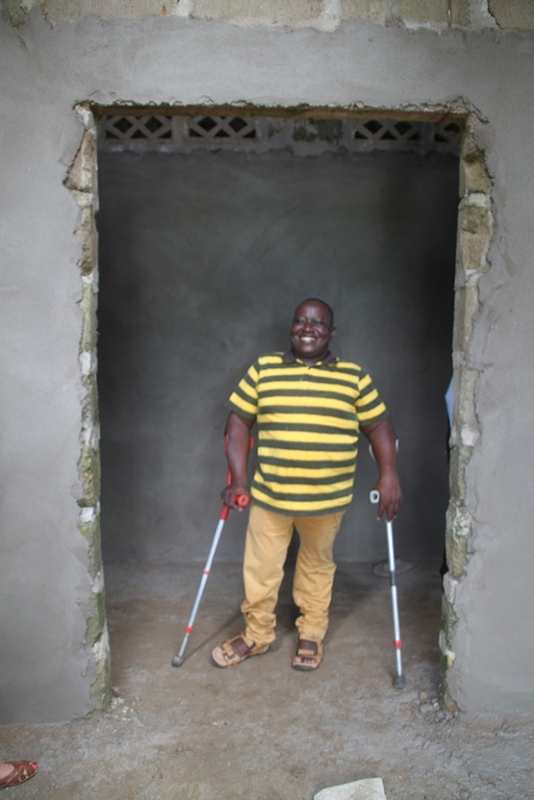 For example, during the emergency response to Ebola, some of WESOFOD’s members with disabilities showed real enterprise. We usually make crutches and wheelchairs and tailor school uniforms but, during Ebola, we turned to making hand washing buckets to help prevent the spread of the virus. We delivered these buckets and vital information about Ebola to very poor communities whom no-one else had managed to reach. Our local membership gave us the inroads. Through these activities, we learnt how important it is to put every single person first in an emergency - including persons with disabilities. We showed real determination to ‘leave no-one behind’. Every child deserves the opportunity to go to school. Every child deserves the chance to learn, whether they are abled or disabled, whether they live in a city or a hard-to-reach community. Unfortunately, children with disabilities in Sierra Leone are often denied their right to education. The barriers to achieving an education for children with disabilities here are complex. It was in these remote communities that we came across children with disabilities whose needs for support had been completely hidden before. WESOFOD gave some of these children a voice for the very first time. We listened to their views and included them in the survey we recently carried out together with our partner organisation Street Child. When we asked children with disabilities what they wanted most, 91% replied, “Education”. They longed to be included and learn in a classroom alongside their peers. Recent research by WESOFOD and our partner Street Child, a leading international organisation that works to support the most vulnerable children into education, found that 44% of children with disabilities are out of school not because their disabilities prevent them from attending, but because of discrimination and stigma. Without a quality, inclusive education, I ask you, how can the aspirations of children with disabilities - to have a job and be independent in the future - ever be realised in Sierra Leone or elsewhere in the world? My dream for developing more solutions for disability inclusion would start small - but aim to build bigger, when we have evidence of what works. That’s why I’m happy to be in the UK this week for the Global Disability Summit, coming together with representatives of other organisations, governments and companies. Together, we are strong. We will lead renewed action to tackle the barriers that prevent people with disabilities from participating fully in society. Street Child’s latest study, released ahead of the Global Disability Summit, is the first step toward understanding why children with disabilities in Sierra Leone are out of school. Both WESOFOD and Street Child are signing the Charter of Change to commit to develop programmes that create new norms, tackle stigma, and ensure inclusion in education and dignity and respect to all.